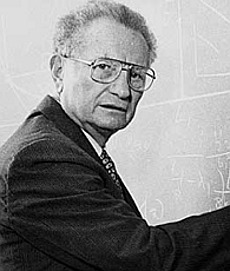 One of the Twentieth Century's most influential economists, Paul Samuelson improved the quality of mathematical analysis in his field, formalized several branches of economic science, and helped popularize Keynesian economics in America. He studied at the University of Chicago, and said he was "born as an economist" there in 1932, when he heard a lecture on Thomas Malthus. In 1938 he introduced the concept of "revealed preference", his theory that a consumer's preferences and satisfaction are revealed in his/her choices. His 1947 book Foundations of Economic Analysis proposed a universal nature of consumer behavior as a cornerstone of economic theory, and his 1948 textbook Economics has sold over ten-million copies and remains the all-time best-selling book on the subject. In 1954 he provided the first rigorous definition of public goods, materials that all of society benefits from but that cannot practically be charged to individuals. He was the first American to win the Nobel Prize for Economics, honored in 1970 “for the scientific work through which he has developed static and dynamic economic theory and actively contributed to raising the level of analysis in economic science”. He conducted work now considered fundamental in fields including capital theory, dynamics and general equilibrium of economic systems, finance theory, general equilibrium theory, the interaction of multiplier and accelerator effects, international trade, public expenditure, trade cycles, and welfare economics. He said that the economic motivation for writing his text Economics was the expense of having triplets in the 1940s. He wrote a column on economics at Newsweek from 1966-81, and he was critical of the Nixon administration's economic policies to the point that he earned a spot on the famed "enemies' list." He was an uncle of former Treasury Secretary Lawrence H. Summers.